Some Feats of Innovative Engineering were Required for the Widening of Victoria Rd. The arduous task of widening Victoria Rd in Ryde has been conducted without any disruption to traffic thanks to an especially unique feat of engineering. Roads and Maritime Service hired engineering company Perfect Engineering to construct a bridge that would widen busy Victoria Rd enough for a bus lane on the northern side, opposite Ryde Aquatic Leisure Centre. The company, however, had to implement a number of innovative techniques to utilise the sharp embankment. The concrete slabs of the retaining wall were constructed upon a unique gantry structure. The project has gone so smoothly that the entire construction has gone largely unnoticed by motorists. It is important to note that Elie Nakhel was just one of the many from Perfect Engineering working on Victoria Road, however it goes without saying that he should be thanked for his contribution to the project and also providing a commentary of the project itself. Special acknowledgements should be given to the site engineer Rowais Toma and project engineers Alex Eremenko and Ali Chour. Most importantly, the rest of George Melhem's Perfect Engineering team are to be also acknowledged for delivering a successfully widened Victoria Road. EVER since Governor Arthur Phillip arrived with the First Fleet in 1788, the population of Sydney has grappled with the challenge of guaranteeing a drink of fresh water in a place of great extremes in rainfall. The city's first official water supply earned the name ''Tank Stream'' because of the reservoirs that had to be carved into its sandstone so the convicts and their guards did not die of thirst. More than two centuries on, one of Sydney's most crucial pieces of infrastructure comprises the two huge pipelines - one 2.1 metres in diameter, the other 3m - that carry water between Warragamba Dam at the foot of the Blue Mountains and Prospect Reservoir in the western suburbs of Sydney. Project engineer Alen Hodzic from Transfield Services expressed gratitude to Perfect Engineering in relation to the valve replacement on the Warragamba Pipeline. Across Australia, there are a number of highly respected engineering firms, yet few possess the advanced educational background, experience, and sheer wealth of knowledge of Perfect Engineering Pty Ltd. Under the leadership of founder and Managing Director Dr George N Melhem, the firm boasts three senior staff, of which two possess PhDs, Dr Melhem and Professor Chris Sorrell. 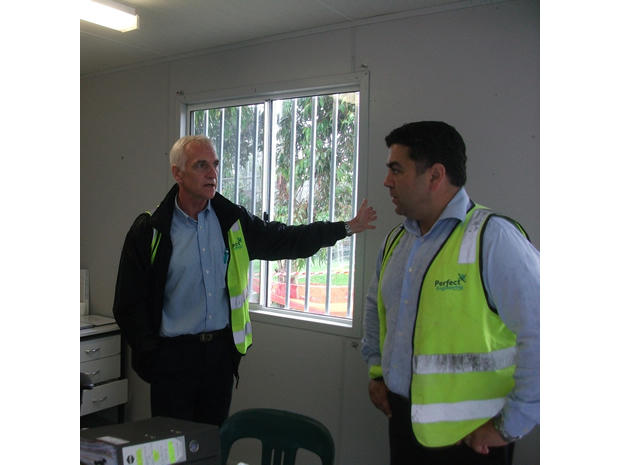 Mr John Louth has over 35 years in senior engineering, management including Compliance and OH&S. In operation since Oct 2003, Perfect Engineering remains unique in the construction industry, and has earned the business of a number of highly respected government agencies and blue chip clients, such as the New South Wales Department of Public Works, Roads and traffic Authority, Qantas Airways, Sydney Water, Westfield, Thiess John Holland and Leighton, to name a few. “Having the two PhDs gives us a different perspective about the scale and the scope of the research and development and the different materials and processes, which really sets the company apart from your average construction company,” says Dr Sorrell. With a background in Metallurgical Engineering, and his PhD primarily focussed on design in aeroplanes and buildings, Dr Melhem possesses over 21 years of experience in engineering and management. Prior to creating Perfect Engineering almost a decade ago, he held positions with established engineering and manufacturing companies, including Australian National Industries Limited, BTR Engineering Monroe Springs, Sandvik, and Yeomans Engineering, and worked in defence research, automotive engineering, petroleum, advanced stainless materials, air and ground transport, and nuclear engineering. Perfect Engineering has been appointed as Managing Contractor by the Department of Public Works for the design and construction of certain projects i.e civil projects include a carpark and roadway for the Ministry of The Arts. Other projects include TAFE colleges, several high schools and the revision of engineering drawings and conversion to complete detailed shop drawings along with supply, fabrication and erection of the entire steel structure. Chullora TAFE, Randwick TAFE, Campbelltown East public School, Kingswood High School, Glenmore Park High School, Richmond High School, Windsor High School, Colo High School, Blacktown Girls High School, Fairvale High School, Chifley College Senior Campus, and many others. 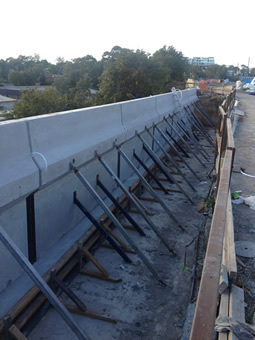 Perfect Engineering was engaged by the NSW Department of Public Works to provide the marking plans and member schedules, fabrication and site erection for the building frames. Mr. John Louth (Left), Dr. George Melhem (Right). 1. Provide economic stimulus through the rapid construction and refurbishment of school infrastructure. 2. Build learning environments to help children, families and communities participate in activities that will support achievement, develop learning potential and bring communities together. The abovementioned project was a great success, and was completed in a shorter period than expected. The period for construction was extremely short, and there was minimal disruption, dust, noise to employees due to careful planning and control. Attention to OH&S and environmental issues had to be adhered to strictly as in all projects. 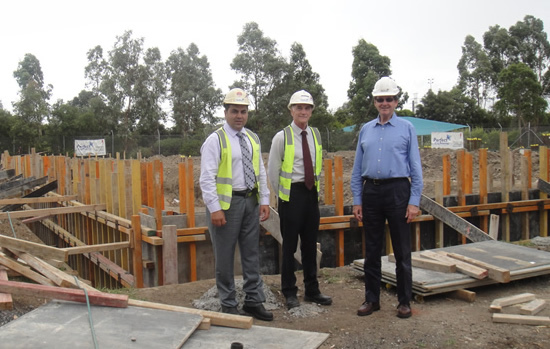 Left: Dr. George N Melhem (MD Perfect Engineering) , Centre: Mr. John Louth (Compliance Manager Perfect Engineering), Right Mr. Roland De Broglio (FIEAust CPEng Head Manager Engineers Australia, Chartered Assessment). Mr. Anthony Gemayel has attained his Chartered Professional Engineers (CPEng) under the mentoring of Dr. Melhem. Mr Roland De Broglio visited Perfect Engineering Pty Ltd for discussions pertaining the assessment for some of their Engineers in the Chartered Professional Development (CPD) Program. Perfect Engineering is in partnership with Engineers Australia and at present Perfect Engineering has two Engineers awaiting assessment for CPEng and Fellow Engineer status. Dr George Melhem is a mentor in the engineering and Mr. John Louth ensures all compliance of the Engineers Australia requirements are met for the CPD program. Perfect Engineering is proud to announce that it is committed to a long term partnership with Engineers Australia and will continue to keep up to date and abreast all of the requirements with Engineers Australia. Engineers Australia currently has close to 115,000 members and is continually increasing its membership due to the success of the program. The Institution of Engineers Australia, is a professional body and not for profit organisation dedicated to being the national forum for the advancement of the engineering field within Australia. It has over 115,000 members from all engineering disciplines. The organisation began in the late 19th century during the Industrial Revolution, recognising the need for a single body to represent engineers. Its first council meeting was held in 1919. The patron of Engineers Australia is the Governor-General of Australia Peter Cosgrove. Perfect Engineering Pty Ltd has successfully also recently surpassed requirements for the ISO 9001 2008 in the area of Project Management for Civil works, Building works, Structural steel and Metalworks. Perfect Engineering Pty Ltd is currently undertaking R&D with the University of New South Wales which is deemed to be of national benefit.